In 2011, DECC decided to change the rules about subsidies for photovoltaic schemes, and caused substantial losses to those who had contracted or were about to contract on the basis of the more generous old subsidies. This is prime territory for a damages claim under A1P1 ECHR. The Court of Appeal has recently dismissed an appeal by DECC against a decision of Coulson J (see my post here) supportive of such claims. The decision was on preliminary issues involving assumed facts, but important legal arguments advanced by DECC were rejected by the CA. 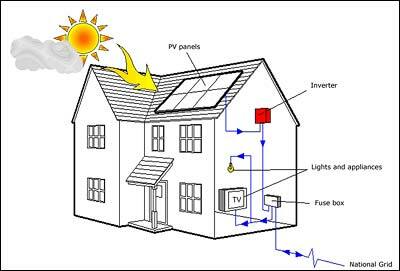 In October 2011, DECC proposed to reduce the subsidies for photovoltaic schemes eligible after 12 December 2011. This modification was to cut in on 1 April 2012. The original scheme paid 43.3p per kilowatt hour for 25 years. The proposed revised scheme (the Proposal) would pay them that rate until April 2012, but then 21p per kilowatt hour for the rest of the 25 years. In an earlier decision, the Court of Appeal said that implementing this change would be unlawful – see my previous post here. The present claimants said that the change in cut-off dates had made many projects unviable because they could not be completed in time. Some projects were subject to signed contracts and others had an expectation that such contracts would arise. The judge decided that those claimants who had entered into contracts had “possessions” within the meaning of A1P1, but others who had no contracts did not. DECC did not appeal the first finding, but various claimants appealed the second. The judge had decided that work opportunities or prospective contracts were not A1P1 possessions, and it did not matter that a claimant was a preferred bidder or had a reasonable prospect of acquiring a contract. This finding was based on a distinction in Strasbourg case law between simple loss of future income (not an A1P1 possession by itself) and marketable goodwill (a possession). The Malik case (in CA – here – and in Strasbourg – here) is a good example of the first, with goodwill based upon a doctor’s personal reputation being held not to be a possession because it was not transferable and not marketable. The claimants said that the judge was wrong to hold that goodwill was only capable of being an A1P1 possession to the extent that it reflected something which had been built up in the past and had a present-day value, as distinct from something which was only referable to future events (such as future income). There was no distinction in law between (i) the marketable value of the goodwill of a business and (ii) the future income of a business. By contrast, there was a coherent distinction between (i) the mere possibility of earning some future income which cannot be capitalised and which thus has no present economic value and (ii) a customer base which can be capitalised and does have a present economic value. So they said that the latter is, but the former is not, a possession within the meaning of A1P1. More concretely, they said that a business, which had a capital value based upon future cash flows immediately before the DECC announcement, was an A1P1 possession, even though it did not have signed contracts. They are grounded in sensible economic theory and the realities of commercial life. But the CA did not accept them because the term “possessions” in A1P1 has an autonomous Convention meaning. The well-established distinction between goodwill and future income is fundamental to the Strasbourg jurisprudence. The consistent line taken by the ECtHR is that the goodwill of a business, at any rate if it has a marketable value, may count as a possession within the meaning of A1P1, but the right to a future income stream does not. The distinction is not always easy to apply and the CA thought that the ECtHR has not addressed the difficulties. The distinction is between the present day value of future income (not treated by the ECtHR as part of goodwill and a possession) and the present day value of a business which reflects the capacity to earn profits in the future (which may be part of goodwill and a possession). The capacity to earn profits in the future is derived from the reputation that the business enjoys as a result of its past efforts. Signed contracts are part of goodwill because they are the product of its past work. Contracts which a business hopes to secure in the future are no more than that. So the CA said the judge was right on this point. rejected the defendants’ argument that the direct cause of the solar PV installations not being completed by 3 March 2012 was the commercial decisions of the claimants, their customers and others rather than the Proposal. Hence, he concluded that, on the assumed facts, the Proposal constituted an interference. DECC said that the Proposal had no effect in law on any contracts. As the Proposal was not in fact implemented, solar PV installations who got in under the wire would receive the original FIT rate of up to 43.3p/kWh for the entire period for which they were eligible. At most, if it had been implemented, the Proposal would have reduced the amount of FIT payable for those installations that became eligible after 11 December 2011. Hence, the operative cause of any non-fulfilment of contracts was because of the commercial decisions of the claimants and others, and not the Proposal. The basic difficulty with the claimants’ case is that the Proposal was no more than the subject of a consultation which is assumed for present purposes to have been open-minded and genuine and whose outcome was not pre-determined. A mere proposal cannot, as a matter of law, amount to an interference. DECC pointed out that the Government and public authorities are constantly doing things that affect the profitability (and hence the value) of businesses. Any such act would, prima facie, be a violation of affected persons’ A1P1 rights. Indeed, the raising by the Government or any public authority of even a non-preferred option for debate can have an effect on businesses. This was said to be a novel conclusion, not found in Strasbourg case law. Matos e Silva LDA v Portugal (1997) 24 EHRR 573. (creation of a nature reserve affected applicants’ land – steps taken included a ban on building, easements and restrictions affecting development of the land, and a “public interest declaration” which was a preliminary to expropriating land – but land never expropriated). But as a matter of fact [the Proposal] did in a real and practical sense interfere with the claimants’ businesses in precisely the way that was intended…. So too, the fact that the Proposal had no legal effect (because it was no more than a proposal) does not mean that it did not affect and interfere with the claimants’ A1P1 rights. So on the assumed facts, the CA found an interference. (i) The judge found that the interference was lawful on the simple ground that it had been held to be unlawful by the CA in the Friends of the Earth case (my post on FoE here). An unlawful scheme cannot, as a matter of principle, be justified. (ii) In case he was wrong on lawfulness, he went on to consider the question of proportionality. The interference was not justified because it did not strike a fair balance between the legitimate aim sought to be achieved by the defendant (principally the financial interests of the taxpayer) and the interests of the claimants. The CA disagreed with (i), but agreed with (ii). On (i), the CA accepted DECC’s argument that it was not unlawful to make a Proposal, even though to implement the Proposal would have been unlawful. The claimants said that as a matter of principle, a public authority cannot lawfully do this. The rule of law requires a public authority to comply with the law. The Court should not sanction as lawful a proposal to do something that is unlawful. And this was all the more so in case where the publication of the proposal is intended to have and does have an adverse effect on individuals’ personal or property rights. Indeed an authority could lawfully achieve by means of a mere consultation the object which it could not lawfully achieve by carrying a proposal into effect without a consultation. powers of consultation, whether under statute or at common law, are subject to a condition that the proposal consulted on would be lawful if implemented. But, as the CA pointed out, one of the purposes of consultations is to enable consultees to identify legal as well as substantive objections. It would be odd if a public authority could not lawfully consult on a proposal just because some or all of what is proposed could not lawfully be implemented. The whole point of a genuine consultation is to enable the authority to take into account consultees’ responses in order to make a fair, informed and lawful decision. The Court was also wary of encouraging challenges to the issue of a consultation document. These would usually be rejected on the grounds that it was premature. If it is unlawful to issue a consultation document containing a proposal to do something that would be unlawful if implemented, it is difficult to see how such challenges to the issue of consultation documents could be stopped. The judge had weighed the sums to be saved by DECC (£1.6bn) against the outstanding claims (£200m) – in the absence of compensation for the claimants, there was no fair balance. The CA agreed with his general approach. DECC had made statements about the April 2012 cut-off date and claimed that there would be no retrospective changes. Take that, with the scale of the claimants’ investments, and the fact that any losses suffered by them would be dwarfed by the £1.6bn savings. The upshot was that the Proposal did not strike a fair balance between the public interest and the interests of the investors in the scheme. This was despite the fact that DECC enjoyed a wide margin of discretion. The CA was also unimpressed because very little consideration appears to have been given at the time by DECC to the impact the Proposal would have on existing businesses. The judge made some initial observations on damages, but the CA thought that these issues and the judge’s determination of them were of limited utility. It was a matter of fact, and hence for trial, whether DECC’s conduct did in fact make the claimants’ businesses unviable. The judge’s conclusions were essentially upheld, with the exception of the interesting question as to whether it is unlawful to make a proposal which if implemented would be unlawful. One’s instant reaction is – of course it is unlawful to do so. But reflection suggests that the CA is surely right in deflecting challenges away from proposals and onto substantive steps, as and when, and if, those proposals are implemented. And remember the other half of the judgment – it is in breach of A1P1 to do something which practically affects someone’s A1P1 possessions (even if it does not amount to a formal legal step) unless the authority can establish a fair balance. The solar subsidies case – when can you judicially review a proposal? It’s a Win Win for farmers – who are the only people to afford solar – who get a subsidy for installing a renewable, then play the insurance company off the supplier to get a second pay day. My, my, my how the orchard is suffering.